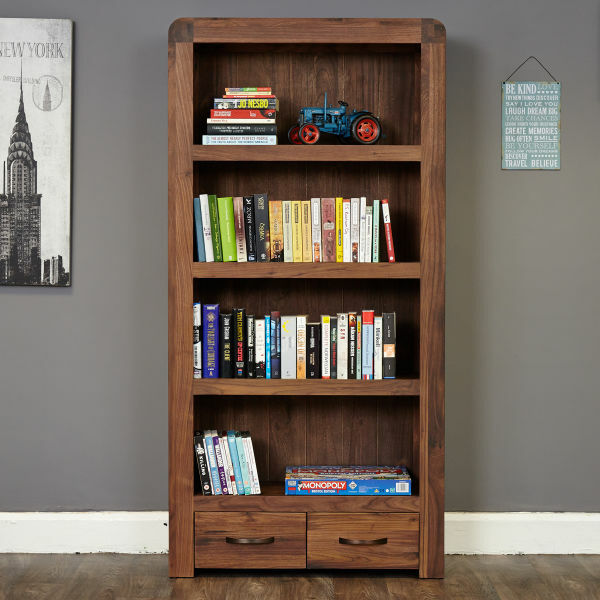 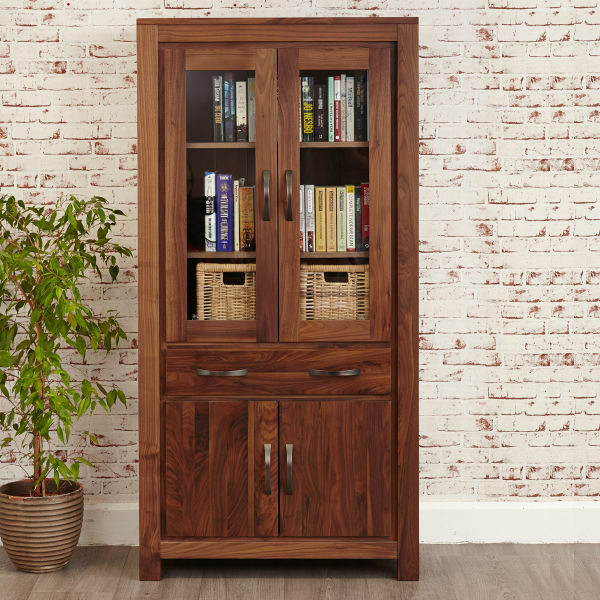 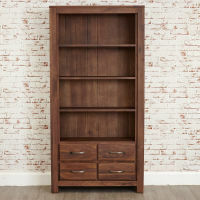 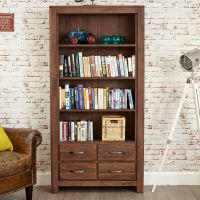 Our Mayan Walnut large 4 drawer bookcase is made from solid, high grade walnut and features modern styling. 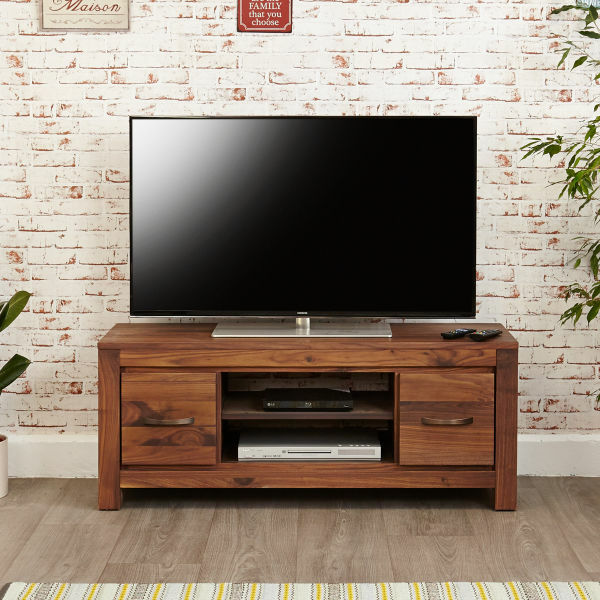 The range has a chunky feel combined with contemporary solid lines and the wood has been finished with a soft satin lacquer to accentuate the wood's natural grain. 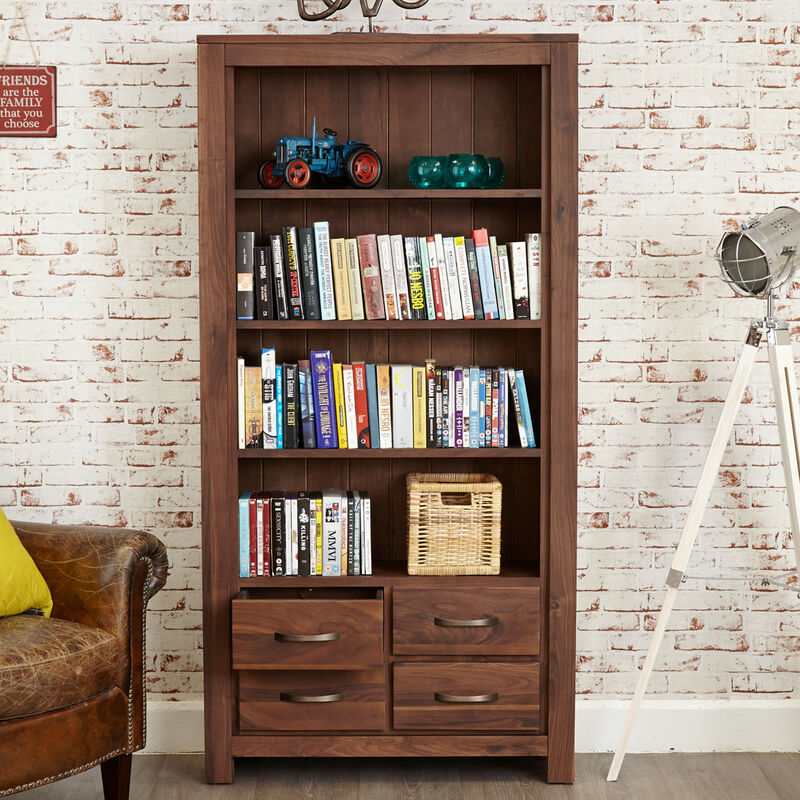 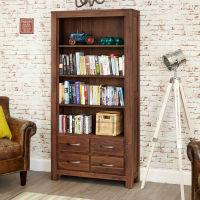 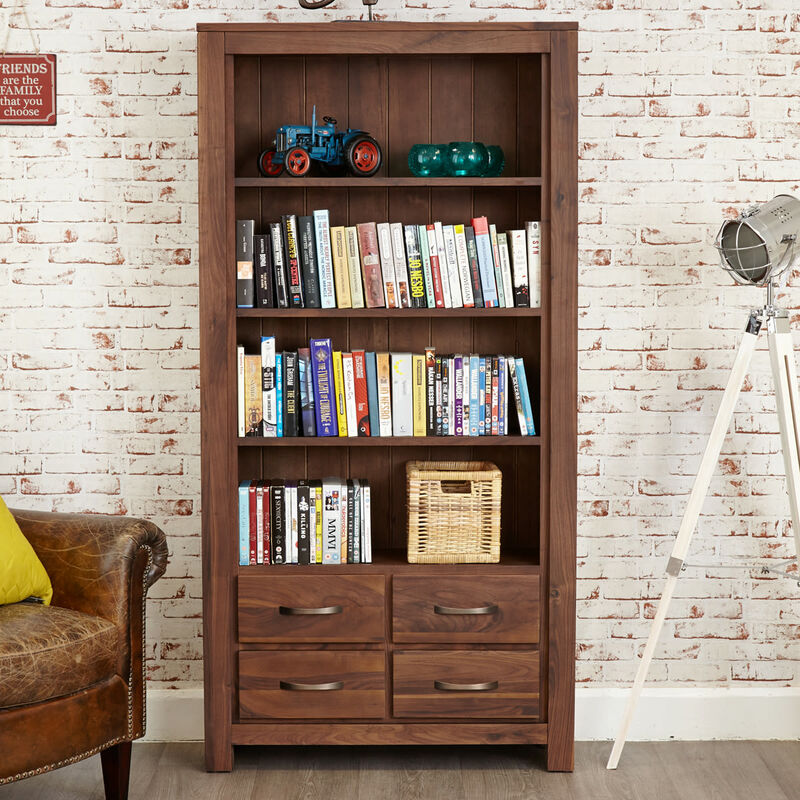 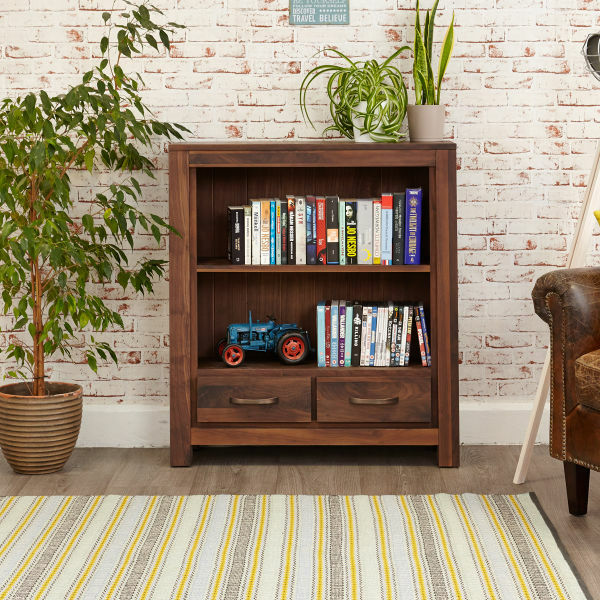 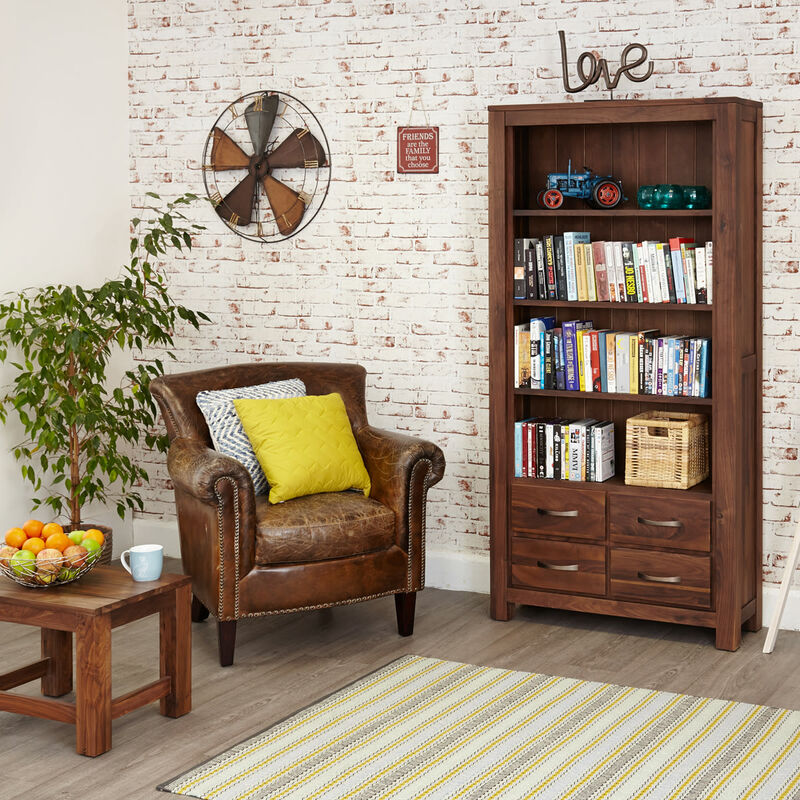 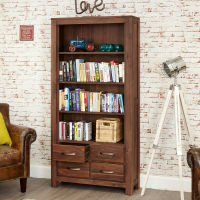 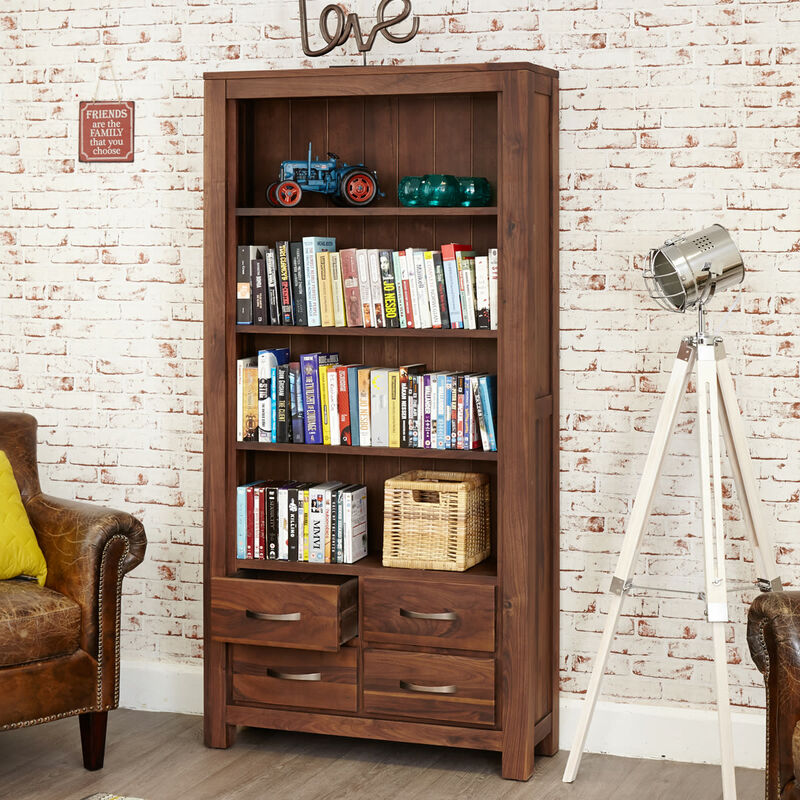 This stunning bookcase would work perfectly in the sitting, dining room, hall or study. 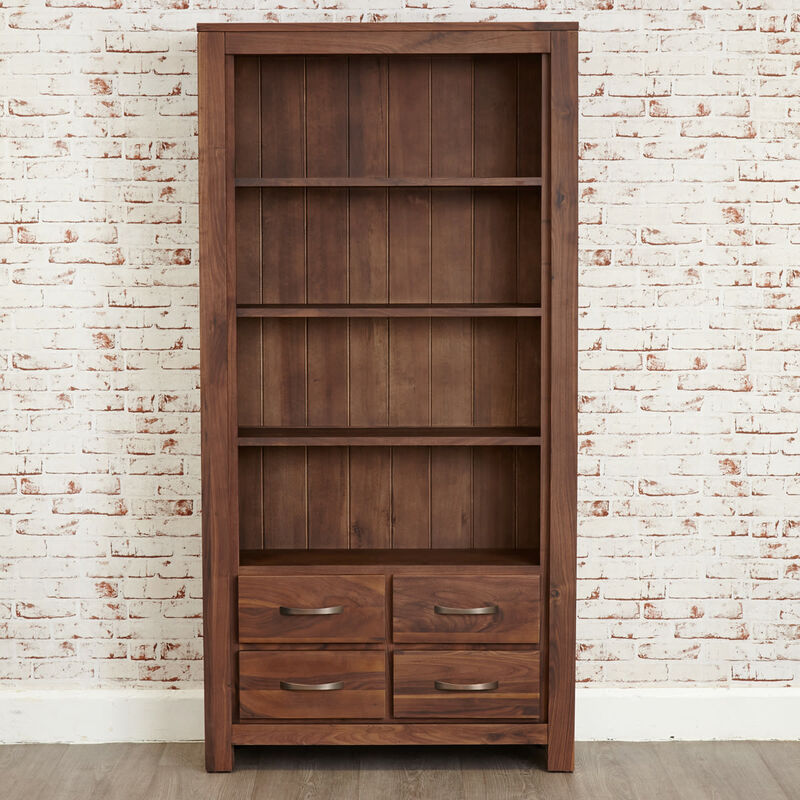 The unit features four shelves that could be used to house books or display ornaments and it also has four drawers that offer further useful storage and has stylish matching walnut handles. Four large drawers provide useful additional storage. 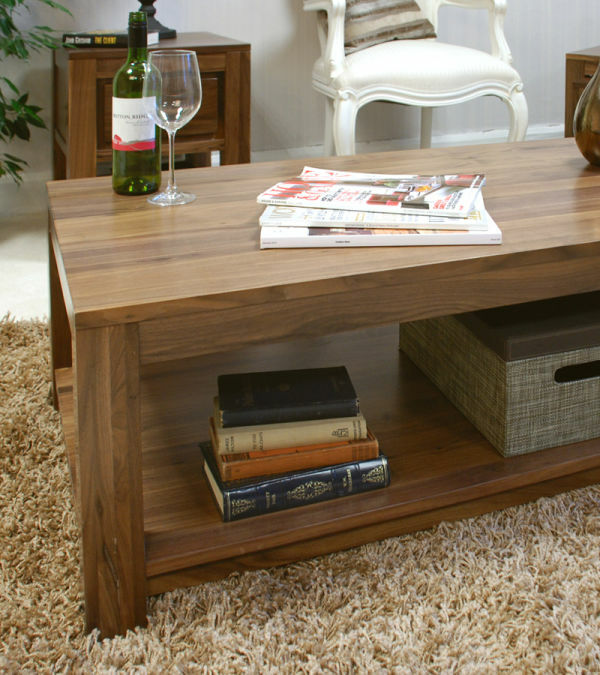 This sturdy bookcase is complemented perfectly by this Mayan Low Walnut Coffee Table .